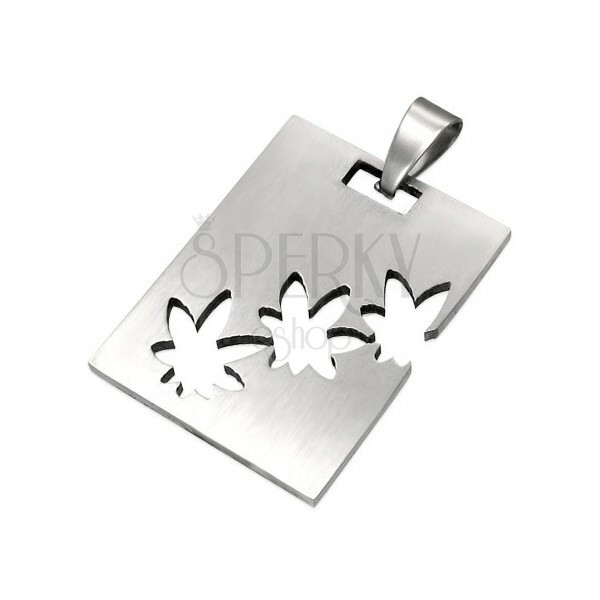 Angular pendant made of 316L steel, cutout motif of three cannabis leaves, shiny surface in silver colour. A steel pendant made in shape of a shiny mirror-like oblong in silver hue. 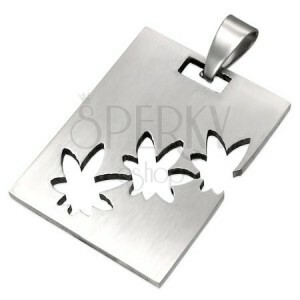 It is decorated with three diagonally placed cutouts of cannabis leaves. The pendant clasp is in elongated shape.